Yes, the Green Bay Packers might be floundering a bit, having lost back-to-back games since Aaron Rodgers went down with an injury. But if you think history means anything, then the fact the Packers are coming off a bye week — and playing Detroit — portends well. With Mike McCarthy as head coach, the Packers are 9-2 coming out of a bye — and both losses were to teams which were unbeaten. Previous to this year, Green Bay played the Lions three times the week after a bye and the Packers have emerged victorious each time. Seven of Green Bay’s victories have been by seven or more points. The other two wins, which came in McCarthy’s first two years, were by five and six points (the latter an overtime win). One of the two losses came by three in overtime, while the other, in 2015 to Denver, was a bad 29-10 defeat in a battle of two teams who were both 6-0 and coming off a bye. Only one other time have the Packers had a game in which the other team also had a bye the previous week, against Chicago in 2014 — a matchup in which Green Bay won 55-14. 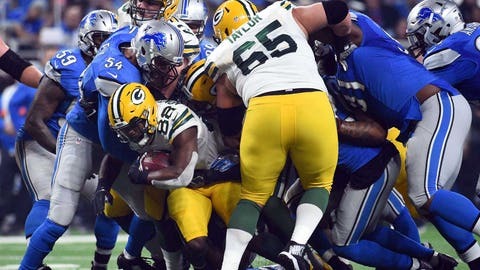 The Lions team the Packers will face Monday night in Detroit is 3-4, the sixth team Green Bay will have faced after a bye which has a losing record (two of those have been the Lions). The Packers are 5-0 in those games. Here’s a look at how Green Bay has done after the bye week since McCarthy began as head coach in 2006. The list includes the date of the bye week, the Packers’ record at the time of the bye, their opponent and record heading into the matchup vs. Green Bay, result and yards for the Packers and their opponent.